From the 2009 re-imagining of one of the greatest games of all time comes this 7″ scale Nathan “RAD” Spencer action figure! 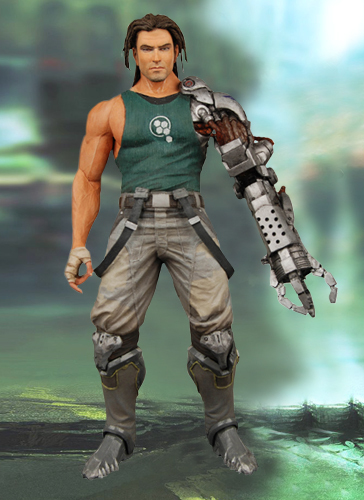 In Bionic Commando, Nathan Spencer is an honorable soldier wrongly accused of treason and sentenced to death. When an emergency situation calls for his special talents, he is released to fight for the people who betrayed him. Featuring over 32 points of articulation for incredible poses. Comes with detachable claw with cable that extends over 12″ in length, plus weapon accessory. Ages 17+.